Dr. Joseph MacInnis is a physician-scientist, author and deep-sea explorer. He has led 30 expeditions into the Atlantic, Pacific and Arctic Oceans and written nine books about undersea exploration. His work has earned him a number of distinctions, including his country’s highest honor, the Order of Canada. In the 1960s, Dr. MacInnis was the medical director of the American Man-in-Sea program and worked on the U. S. Navy’s Sea Lab project. In the 1970s and 80s he led the teams that made the first scientific dives under the North Pole and discovered the world’s northernmost known shipwreck—HMS Breadalbane—under the ice of the Northwest Passage.Dr. MacInnis was an advisor to the Titanic discovery team and co-leader of a $5-million expedition to film Titanic in the giant-screen Imax format. It was this expedition that inspired James Cameron’s Academy Award winning movie. Dr. MacInnis was working with Cameron on a series of deep-sea documentary films. From 1996 to 2004 MacInnis was the chair of TD Financial Group’s Friends of the Environment Foundation. In October 2001, MacInnis visited the exterior of the Aquarius underwater laboratory near Key Largo during the first of the NASA/NOAA NEEMO missions there. He shook hands underwater with Canadian astronaut/aquanaut Dafydd Williams. As part of his ongoing research into leadership in life-threatening environments, in 2010 MacInnis spent time with members of the Canadian Armed Forces in order to research military leadership. This included a visit to Canadian forces in Kandahar, Afghanistan. He has written articles for Scientific American, National Geographic and Wired. 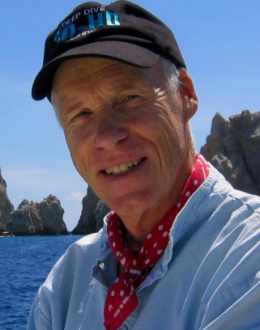 His most recent book, published by National Geographic Books, is the companion volume to Cameron’s 3-D Imax film Aliens of the Deep.Since 1985, Dr. MacInnis has made more than 500 presentations to Fortune 500 companies, including IBM, General Motors and Microsoft. In his speeches, he shares the values including courage, communication and teamwork that enhance performance under the ocean and in the corporate world.